How are you doing? Still going strong? TODAY’S CHALLENGE. 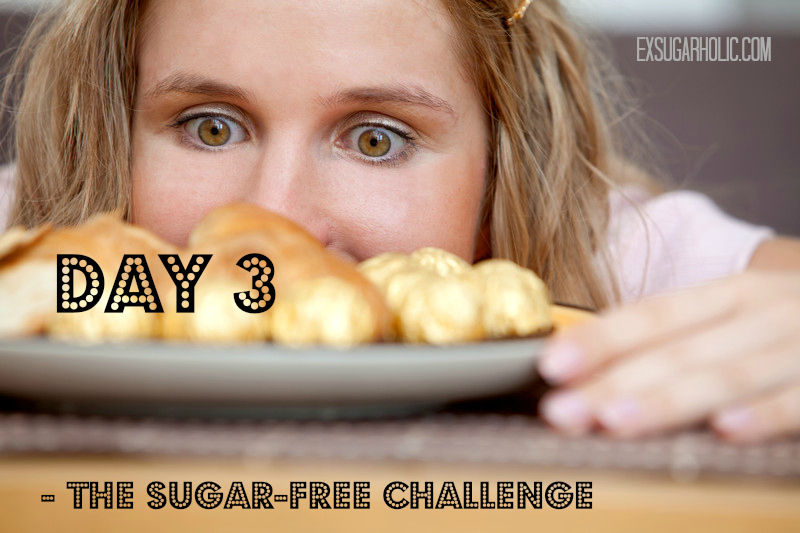 If you are not struggling with cravings already, they will start kicking in hard soon (well, depending on how much sugar you used to consume and how much you have been cutting back these last couple of days). I’ll write more about how to deal with that tomorrow. For now, hopefully your swaps from sugar-high to sugar-low is working well. However, you need something else which will sustain you and curb those cravings. One good thing you could make are these protein bars I just put up. They taste like crunchy chocolate bars and are full of good fats and protein. Give it a go, make these today so you have them at hand for the rest of the week. If you don’t have time or the ingredients – just eat something full of protein or healthy fat (e.g fatty cuts of meat, fatty fish like salmon, eggs, nuts, avocados and low-sugar dark chocolate!). These will help with your cravings and are good for you. 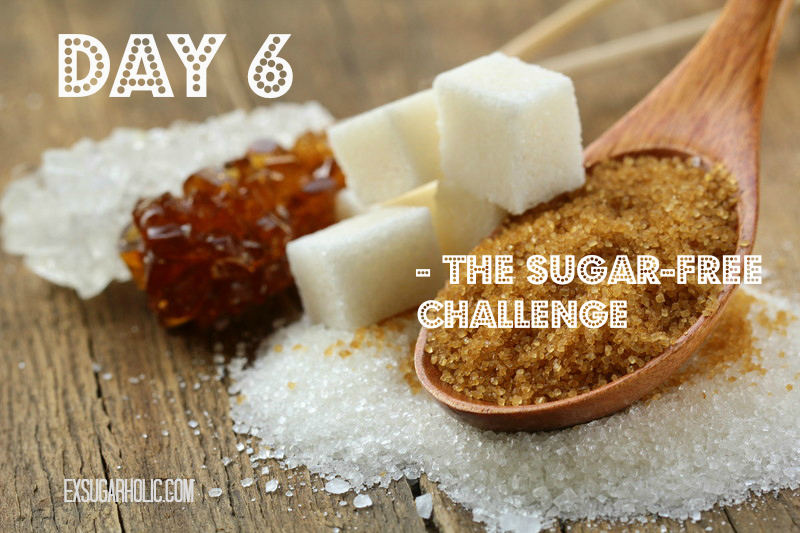 If you are reading this, you might have already decided to go sugar-free. You might have tried and failed before or just looking for tips. 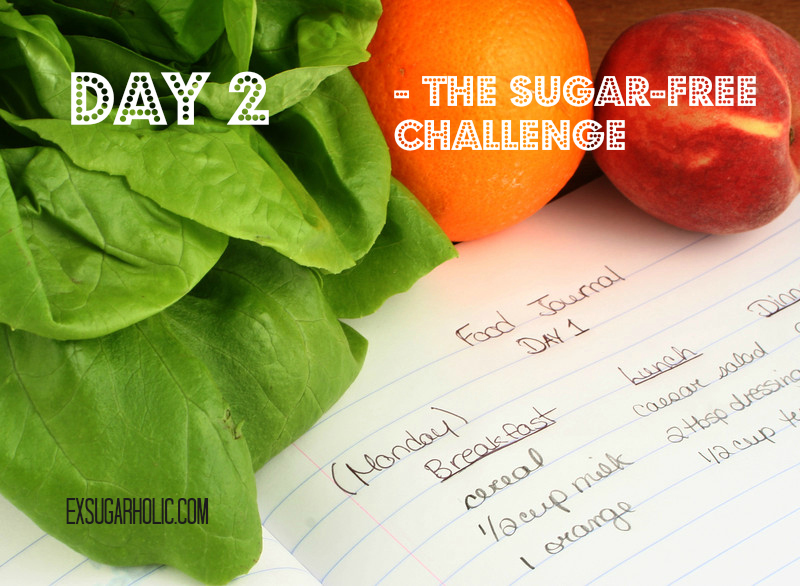 Either way – welcome to this weeks challenge! Scroll down to see today’s challenge. 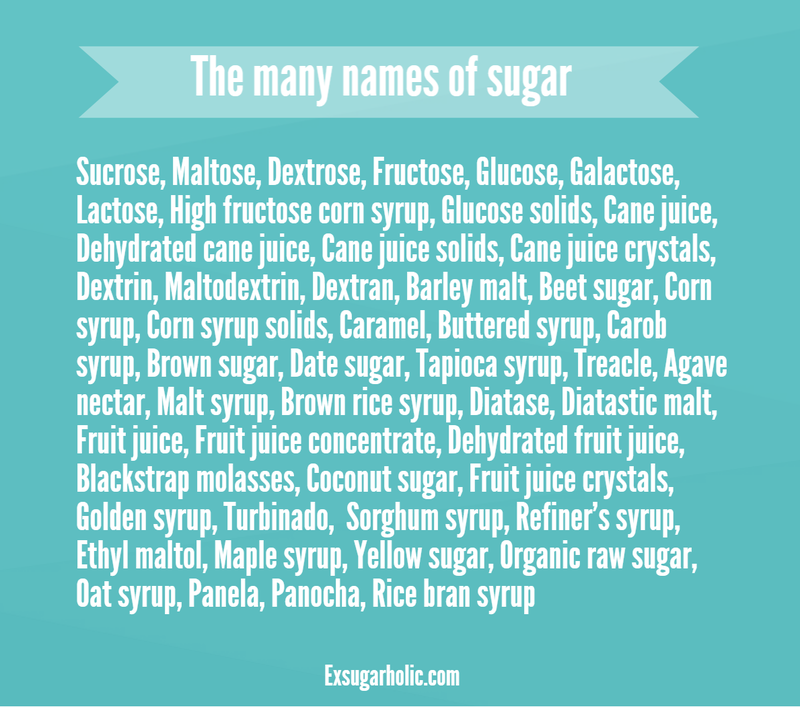 For more information on why sugar (fructose) is bad check it out here, here and here. Let’s get started! So, how do you attack this? Cold turkey? Slowly decreasing amounts of sugar? This really depends on your personality. You will know this yourself. You do see the biggest changes when quitting hard out (especially weight loss) but this doesn’t work for all personalities. Slowly but surely might win the race. 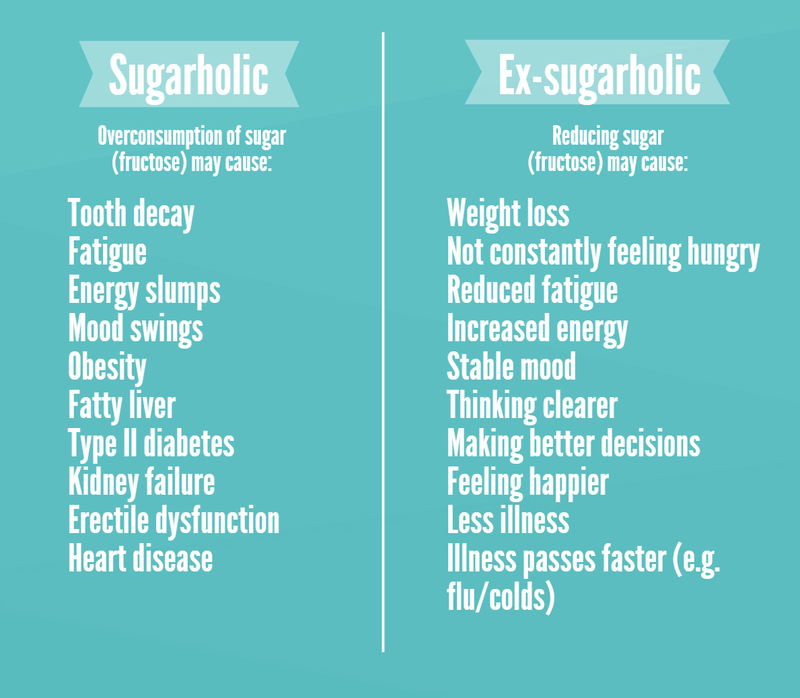 Remember, sugar is an addiction, just like cocaine and tobacco. Sugar masks you true needs and makes you feel constant cravings and false hunger. 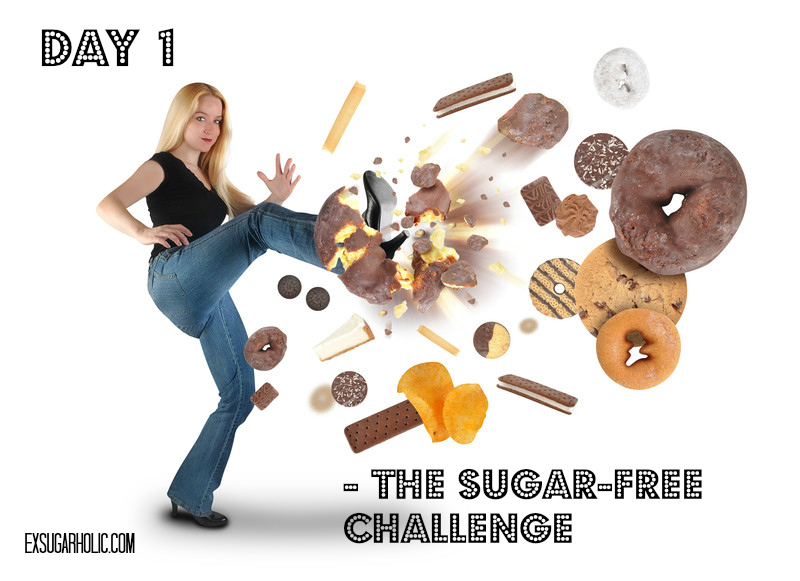 Your body is able to tell you exactly how much to eat and what, but sugar overrides this natural ability and make you overeat and choose foods and drinks with high sugar content to get your kick. The more you eat, the more you need to consume to get your fix. I will go through the slow and steady route on this challenge. TODAYS CHALLENGE. When you read this, you might be on a break at work, at home or out and about. Regardless, you will have trusty routines and habits. So, from today, try to swap out a couple of the main refined and processed foods that you eat. 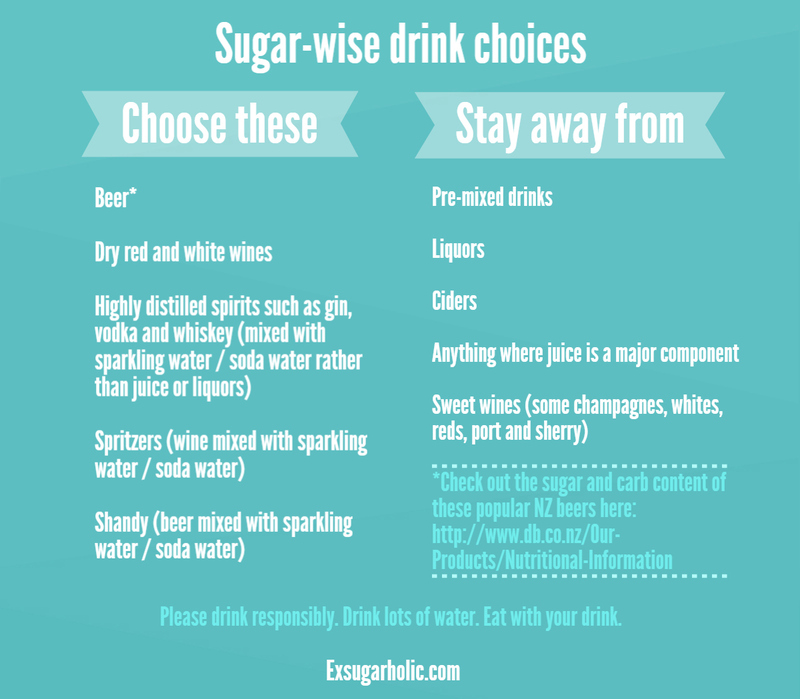 The obvious ones like soda, cake, cookies, sweets, sugary drinks etc.